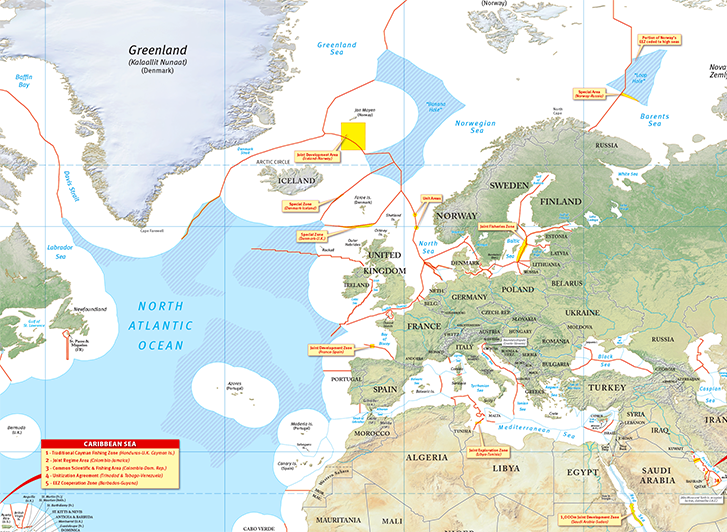 This new world poster map provides a clear and concise depiction of all settled maritime boundaries, and many of the specially-designated areas, such as joint fishing areas, joint development zones, pollution abatement zones, and “special areas” that form part of a growing number of boundary delimitation agreements. Instant 5% discount on orders of 5 or more. Special discounts available for wholesale and educational institutions, contact us for details. International orders, please use order quote form by clicking here. With nearly three fourths of the surface of the Earth covered by water, the delimitation of maritime space is a topic of immense importance to all coastal States. Access to the resources of the sea and seabed will depend in many instances on the delimitation of overlapping maritime entitlements that flow from the 1982 United Nations Convention on the Law of the Sea, or UNCLOS-III. International maritime boundaries affects a host of industries that deal with a wide array of activities, such as resource exploration of the seabed, maritime shipping, pollution abatement, commercial fishing, enforcement of immigration and drug trafficking laws and more. 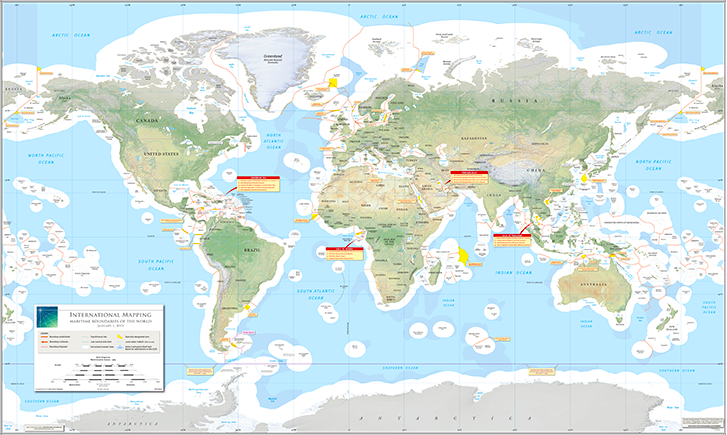 International Mapping will update this poster map twice annually (January & July) so that newly-agreed or adjudicated boundaries can be added to the growing list of well over 200 current international maritime boundaries. 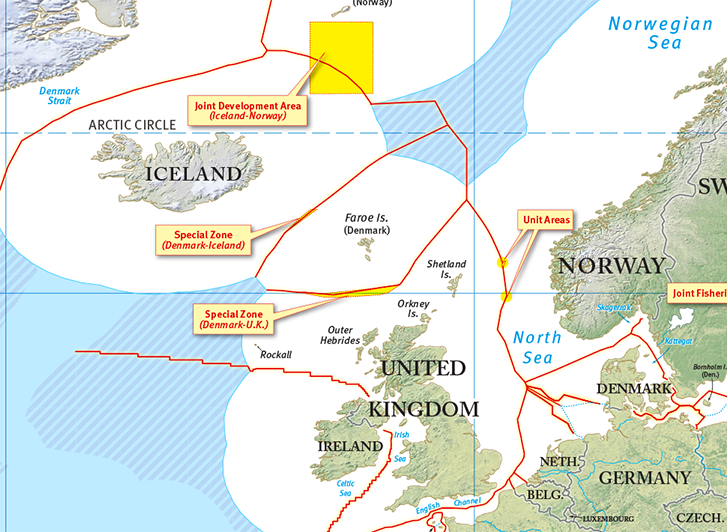 Keeping track of the World’s international maritime boundaries can now be done at a glance.